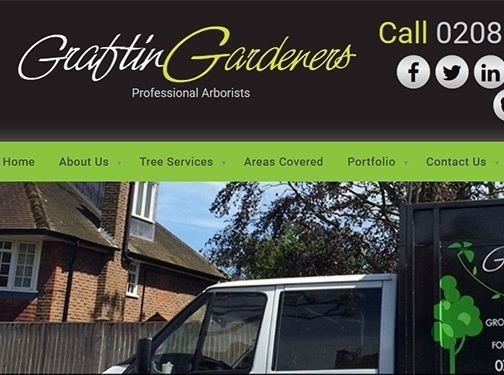 GraftinGardeners are professional tree surgeons operating in London and surrounding areas. We have three teams of highly skilled tree surgeons and can perform all types of tree surgery from tree felling to tree pruning to tree stump removal and more. We have been providing top quality tree services for over 7 years and have the knowledge and experience to carry out all types of tree works with efficiency and care. We cover all aspects of tree surgery and our services include: tree felling/removal, tree pruning, stump removal, ivy removal and more. All works are carried out to the highest possible standards while following the guidelines set out in the BS 3998 so you can always expect to receive a first class service. East Sheen, Clapham, Clapham North, East Acton, Earlsfield, Ewell, Chelsea, Chiswick, Cheam, Carshalton, East Putney, Acton, Ealing, East Acton, Balham, Barnes, Battersea, Brixton, Clapham South, Chessington, Epsom, Esher, Merton, Ham, Hampton Wick, Hammersmith, Kensington, Fulham, Mitcham, Mortlake, Kingston upon Thames, Morden, Sheen, Southfields, Roehampton, Stoneleigh, North Cheam, Shepherds Bush, South Kensington, Putney, Streatham, New Malden, Richmond upon Thames, Sutton, Teddington, Tooting, Wandsworth Common, West Kensington, Wandsworth, Wimbledon, Tolworth, Worcester Park and Twickenham. All our tree surgeons, grounds men and gardeners are fully insured and fully qualified so you can have full peace of mind when working with us. Our liability insurance is up to date and covers us for up to £2,000,000 in the unlikely event something gets damaged. We also have a solid rating of 9.9 on checkatrade (which we are very proud of) so you don't just have to take our word for it. If you need a fast and efficient tree surgery service, let us help. Call us today and we can arrange for a tree surgeon to come and give you a free no obligation quotation at your earliest convenience. UK (London) based business - established in 2009 - providing tree surgery and other gardening services. Website includes details of services provided, work examples, testimonials, portfolio, associations belonged to, blog, full company contact details. Company website has been onlince since 2011 according to web.archive.org.